Karatbars International GmbH offers a wide range of products and options in the 999.9 fine gold market space. Our core products are 1g, 2.5g, and 5g minted 24 karat gold ingots from LBMA accredited refineries. In addition to Karatbars classic core products, we offer collector cards for sports teams, professional athletes, and multinational charities. 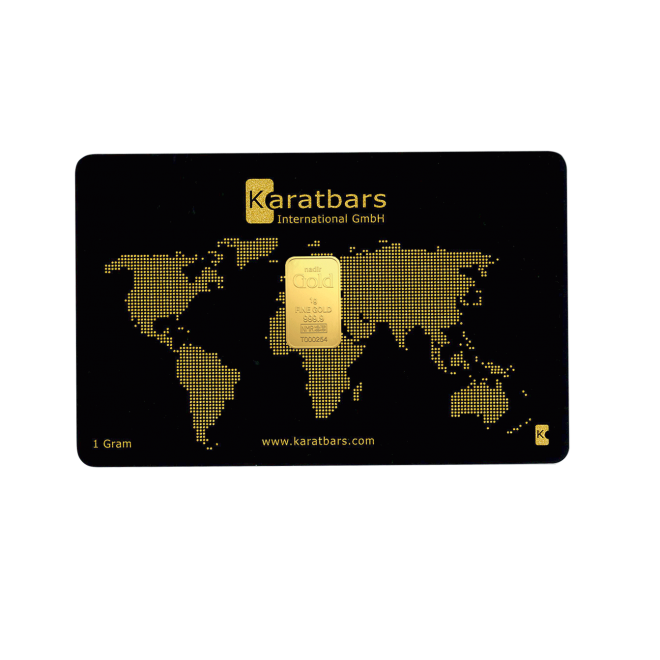 Karatbars has a custom branding card program whereby anyone that qualifies may have the company produce one, or thousands of branding cards that meet the customer’s requirements.